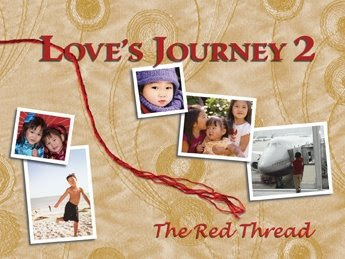 Love Without Boundaries has put their Love's Journey 2 book on clearance for only $25. We bought this book last fall and I absolutely love going through the pictures and reading the adoption stories. I also think it's good for Maggie to see pictures of other little girls and boys from China living with their American families. It's tough sometimes to be different, and this book is full of little kids with families just like hers. Anyway - great book, great cause. All proceeds benefit LWB. Updated to add: This is a large coffee-table size book. it is about 9" x 12" and is 280 pages long.